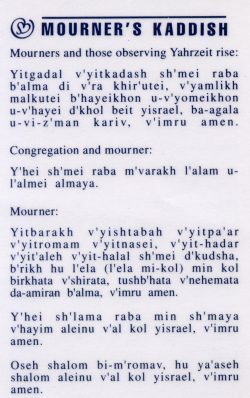 The Mourner’s Kaddish – Herman Meyer and Son, Inc.
relatives and even friends. It is customary not to say Kaddish for others while one’s parents are alive. 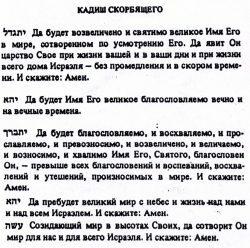 · Adopted children are encouraged to say Kaddish for adoptive parents, but are not required to do so. · Most authorities agree that one need not heed the request of a parent that Kaddish not be said for him. 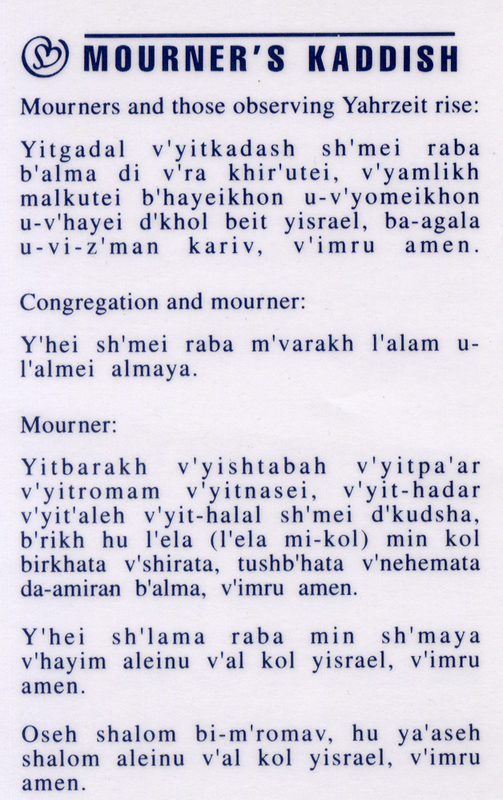 · The Kaddish may be recited at a public prayer service only if a minyan (religious quorum) is present. 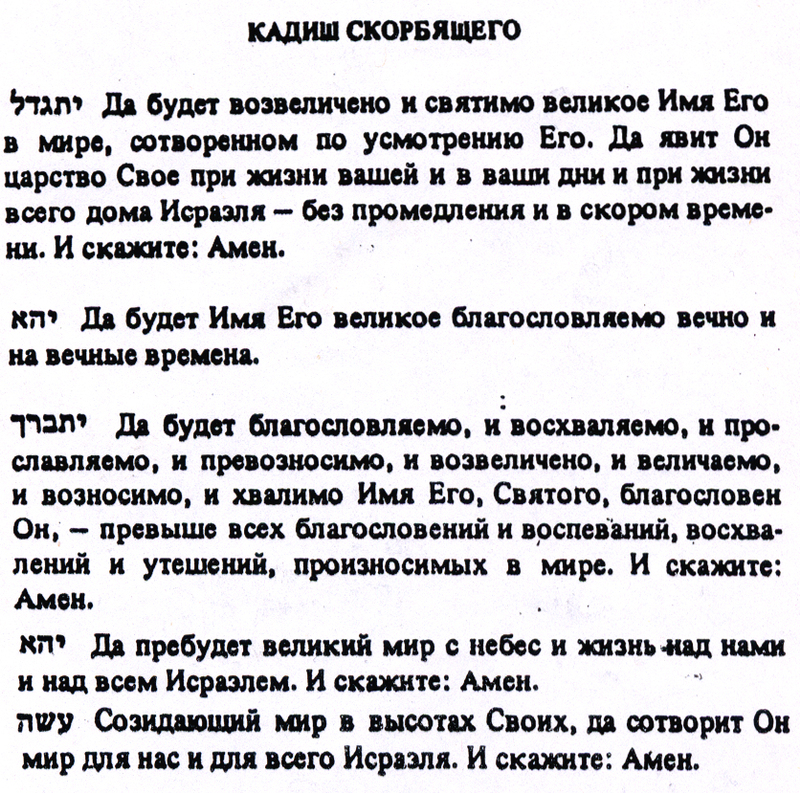 · For parents, Kaddish is recited for eleven months, and for other relatives for thirty days. 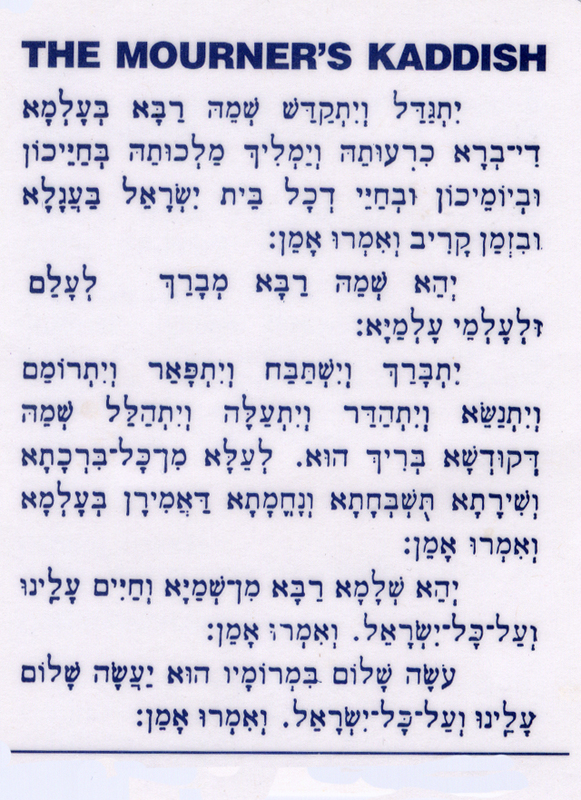 · Although only sons are obligated to say Kaddish for parents, most authorities permit women to do so if they so wish. 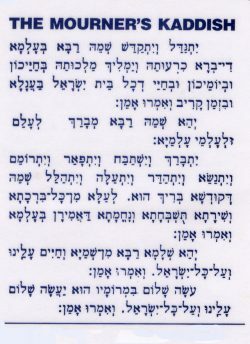 · Boys under Bar Mitzva age are obligated to say Kaddish for parents. most authorities permit girls under Bat Mitzva age to do so if they wish. month (a total of twelve months).